As and when its resources allow, the Mucha Trust acquires additional works to enhance the collection. 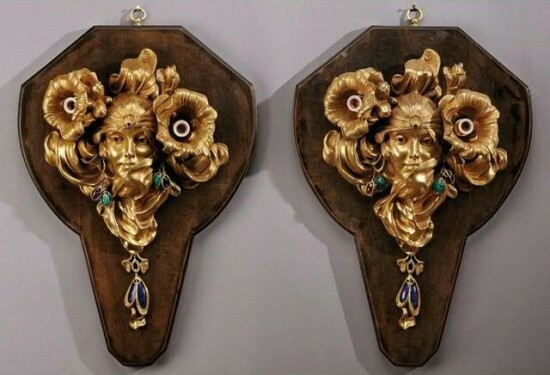 Its first acquisition was in 1993 when it was able to acquire Head of a Girl at auction in Paris. Since then the Trust has acquired many beautiful posters and lithographic works as well as drawings and pastels, sculptures, paintings and jewellery pieces. 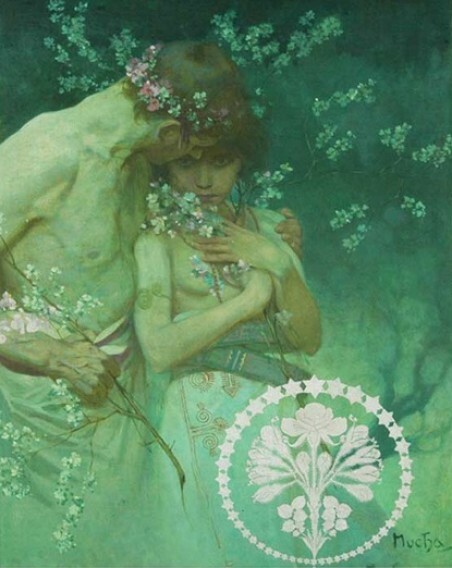 Young Arcadian Couple among Flowers, an oil painting which was adapted for the cover of the May 1922 edition of the magazine Hearst's International. 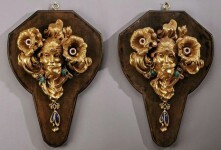 A pair of bronze light fittings with semi-precious stones designed by Mucha and made by A. Truffier. 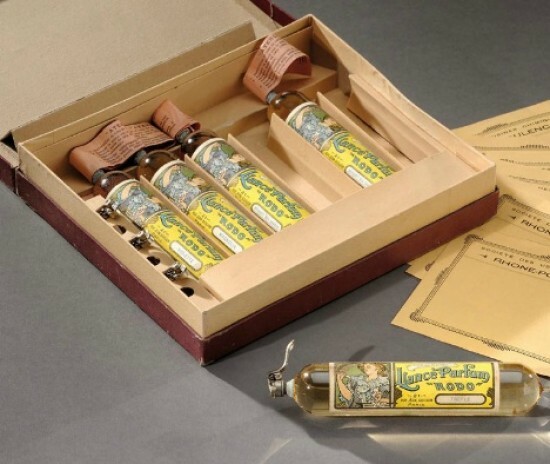 A set of five Lance Parfum Rodo perfume bottles presented in their original presentation box.